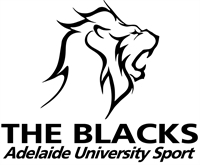 Pay it BLACK is our campaign for club members to donate their unused cricket gear back to the club for use by students, who may be unable to afford their own equipment. All kit & equipment is retained by the club and loaned to students on a 'needs must' basis, until they are in a position to invest in their own. Many international students arrive in Adelaide each year without any cricket kit but still want to play the game, the pay it BLACK campaign gives these students the opportunity to do just that. We will accept anything that can still be used; bats, pads, helmets, gloves clothing, etc.